I wonder how many people reading this know who Mickey Marcus or Moshe Segal are, or have even ever heard their names mentioned. If you went to Sdei Chemed or had my father, Rabbi Eli Teitelbaum A"H, as a Rebbi, you probably do. That is because my father told over many stories of great men who fought for Eretz Yisrael. I can't say for sure, but I assume he chose these two individuals, because they were Americans who traveled to Israel just to fight for other Jews and Eretz Yisrael. Maybe he picked the stories of Moshe Segal because he risked his life just to sound the shofar every Yom Kippur at the Western Wall, while the British had made it a criminal act. I hope one day I'll upload my father’s stories so people can enjoy them, but for now, I wish to just write about the wonderful, positive impact these stories had on my upbringing, and how unfortunately things have now changed. Ask any of my campers from this past summer, and they will tell you who Mickey Marcus was. That’s because his memorial was right outside our campus this summer; located at the top of Kiryat Ye'arim also known as Telshstone. Colonel Marcus was a high ranking officer in the American army who risked everything and traveled to Israel to fight for a country and people he knew very little about. He grew up as a tough Brooklyn street kid, rose by virtue of his courage and intelligence to help save Israel in 1948 (the War of Independence), and became its first general. I remember hearing the incredible story of Mickey Marcus when I was a child at Giv'at HaTachmoshet (Ammunition Hill), a military post overlooking the mountains of Yerushalayim. 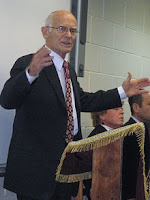 Rabbi Moshe Gottesman, our tour director for over 30 years, made it seem like it was taking place in front of our eyes. I, like the thousands of campers that went through Sdei Chemed, got to hear first hand stories of the war and the settlement of Israel. Today’s tourists are hearing things second or third hand, and it will never be the same. It's a new generation and it's nobody's fault; its just hard to instill the same feeling we got. My campers see a KFC or a Pizza Hut on the same location where so much Jewish history took place. Shopping at the Malka mall is beautiful, but buying an ice cold choko at a Macolet owned by a Holocaust survivor is a totally different experience. It’s hard to explain what the Jews of the past sacrificed to get here, when it takes us just 13 hours, and we complain if we have a stopover and the food isn't up to par or what travelling was like without coach buses and air conditioning, like it was back in the day. And maybe that's why the short story I'm going to retell is not as surprising as it should be. 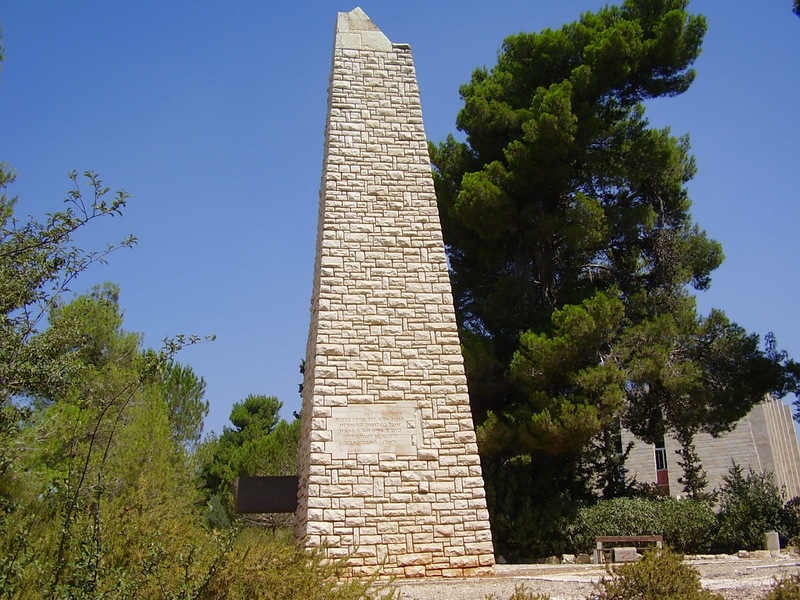 It was on a Shabbos afternoon that some of my campers and I, took a short walk around the campus, when I saw some young Israeli teenagers hanging around next to the Mickey Marcus Monument. They were dressed in the most respectable Shabbos clothes, yet looked kind of world-weary while spitting garinim on the floor...you get the picture. I wondered if they knew anything about the place where they were standing. I started up a conversation and asked them about it. I was hoping they would say no and I could fill them in, but that wasn't how it went. They got mad, and told me how this American soldier teamed up with the secular zionist government to eradicate religious Jews. My face was in shock at how they could say such things. I tried to tell them that they were fed lies, but they wouldn't listen. I had been to his memorial museum in the West Point Synagogue, (where he graduated and encourage everyone to visit) just last year and read up on Mickey Marcus, but it was of no use. These views, along with other rhetoric, were implanted in their heads from when they were young. It hurts when I hear about the false claims that the Moslems make about Eretz Yisrael, but this hurts me much more. These are my brothers -- and they should know better. One of the biggest myths today, spread by both the right and left, is that the country was founded and built by the Secular Zionists. Maybe this makes the secularists feel good, and gives the ultra-religious something to blame all their problems on. 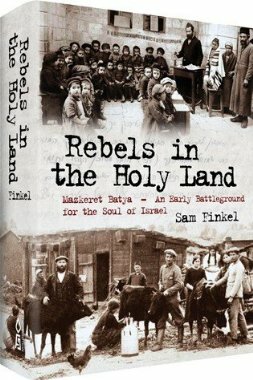 A recent book though, Rebels in the Holy Land ,does away with this myth, and tells us the true story of the pivotal role the fervently Orthodox played in the early framing of the State of Israel. I urge everyone to buy this book and read it. Revising history has very dangerous consequences. I grew up with a deep love for Eretz Yisroel and for the people that sacrificed their lives for us, but now because of these false beliefs, there is so much hate being spread. If we can take away the politics, stop judging one another and spend more time listening instead of shouting, we can overcome this sinas chinam we face today. Let's leave the hate speech for our enemies, who want nothing more than to take away Eretz Yisroel and destroy us as a nation. Chazal tell us that even during the generation of King Achav, which was prevalent with idol worshipers, they were consistently victorious in wars, without suffering deaths. Their merit was that they were characterized by unity. In the absence of unity, Am Yisroel loses the protective power of the divine presence. B"H today Eretz Yisroel is booming with a desire for a closeness to Hashem, yet we suffer from intolerance. Is it that no one cares? Or is it that no one notices? Or is it sadly, that we don't care enough to notice? For those who would like to know a little bit more about Mickey Marcus here is a description found on the Internet: In 1966, Hollywood made a movie about the life of Mickey Marcus "Cast a Giant Shadow" For more about the life of Moshe Segal click here. Thanks rabbi Teitelbaum, you are a a voice of sanity in our own insane asylum called chareidi judaism,our own leaders in the chasidic and yeshivish world,have poisoned the minds of our children with a demonic and irrational hatred towards zionism and to their own g-d given country "Eretz Yisroel"
Growing up, my father told me that Mickey Marcus came from Flatbush, and that his wife taught in his public school here. May all their neshamas have aliyas.